How we became the world's favourite rugby play programme. Max Webb, a rugby-playing parent was trying to find a pre-school rugby class for his three young boys...but back in 2006 there was nothing of that kind around. Since 2006, we have grown beyond anything we could have imagined. 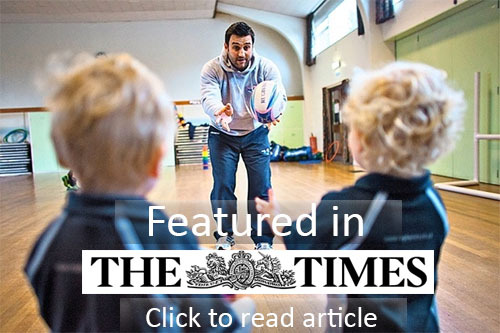 60,000 children in 18 countries on 7 continents are now part of the Rugbytots family. Here in South Africa, our specially trained coaches deliver hundreds of classes per week… and the numbers keep rising! We’ve always been passionate about using our business to benefit others. Since 2007, we’ve donated over £500,000 to good causes and since 2014, we’ve been supporting Wooden Spoon, the children’s charity of rugby. In the last three years, we’ve raised over £250,000 to this amazing charity through our charity bike rides. 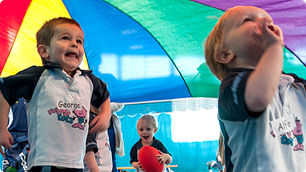 Whether you're a young Rugbytot, a parent or you're working with us as a franchisee, coach or member of our Head Office team, our aim has always been to make it more fun. From the very start, we've believed that when people have fun, the process of learning, coaching, working or even just joining in from the side-lines becomes more meaningful and memorable. So, while we're serious about what we do, we are even more serious about doing it with a smile, passion and good humour! We've always worked hard to be innovative and push the boundaries of what an exceptional pre-school class should entail. We continually invest in kit and equipment that's designed to our own specifications. 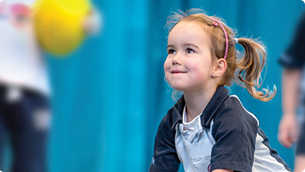 We developed our 'fun first' programme to promote core rugby principles while meeting important pre-school learning objectives such as colour, number and body-part recognition; counting, socialising, following instructions and using imagination. 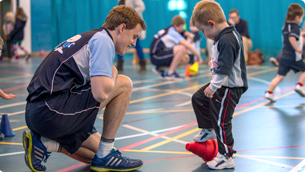 All of this combines to make Rugbytots a truly distinctive experience – and one that we are always aiming to make even better. Rugbytots is proud to have had one of the most well-known brands of quality childrenswear as a partner for the last five years. JoJo Maman Bébé make our children's Rugbytots kit and provide exclusive discounts to our customers. Since 2014, our coaches' kit has been made by BLK (formerly known as Kooga). We also work together to run regular competitions and initiatives – and BLK's slogan 'Beyond Limits Known' matches the ethos of our coaching staff rather well!